Secular journalist: Hey it's Easter, have you read my new article on the lack of evidence for the resurrection? Orthodox Christian: You do this over and over, no one is so naive as to fall for this. Might as well give up! Orthodox Christian: I knew it! I always knew Francis was a degenerate liberal anti-theological dumbhead! Thank you! Perfect! Amazing! I went to Taco Bell today for the first time. I've never felt myself so White. I've never felt myself so White. Me every time I'm mugged. Brazil is crazy. Move out of there. Looks like Star Wars rad-trad Catholicism. 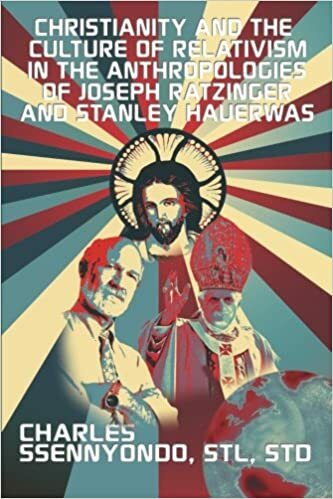 Hauerwas is preparing to destroy the star of death in the lower right and Darth Benedict can't do anything to stop him. We should all be supporting the brave struggle of theologians with STDs, I guess. Sexually Transmitted Disease (and whatever it means in the author's title). Bad pun attempt. 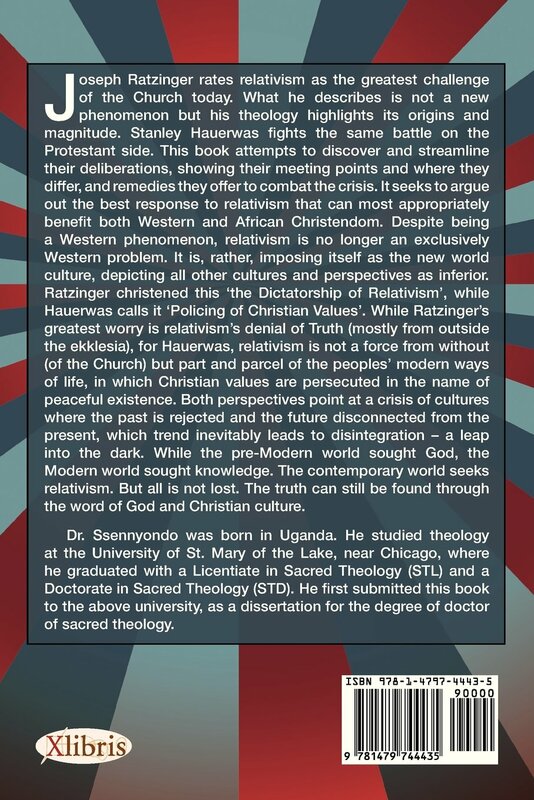 Oh, I didn't see it there, I thought you were saying Hauerwas had an STD or something. Is that a real title? What's sacred theology? Dogmatics? Exegetics? So that's the research component, and the other degree he lists (STL) is equivalent to the 2 year classroom portion of a typical PhD program. The school is also legit: the Chancellor is a Catholic Cardinal, Blase Cupich. I'm guessing it's the academic/research equivalent of being a "Doctor of Divinity," which is more pastorally focused (an older sense of the word divinity that's preserved now mostly in the old KJV's "The Revelation of Saint John the Divine"). Currently 8:16 AM here. Woke up about an hour ago with heartburn. Feeling better now that I put something in my stomach. Can't go back to sleep, it looks like. Oh well. Tales from the interwebs: I recently finished an historical novel* that I really enjoyed and decided to read the 1 star reviews of it on goodreads; one woman said she liked the story but had to give it 1 star because of the excessive swearing (~6 times I think? ), and she was pretty sure that people in the 1st century didn't swear and didn't even have (these) swear words; the more you know; the end. Got at least three rifles pointed at me, a friend who was going to church for her first time in years and a Uber driver when leaving the Holy Thursday service. We got a Uber and the driver had the smart decision of going down the shady borderline ghetto street of the church brakeless with closed windows while the military was patrolling the area. It wouldn't have been that exceptional if they had just shot. I feel incredibly glad, relieved and alive, I kinda felt the hand of God keeping us from any harm there. The most amazing part is that my friend still wants to come back for Holy Friday. They didn't have those swear words, they had worse. What a crap situation. Glad about the last couple sentences though! If I had to guess, the swear word that really triggered the reviewer was a certain term for female bits that is more 'normalized' over in England (where the author is from) but is still pretty raw here in the States. Yes, I know what you really mean. "religion" "slave" "gender" "sinister" "*per-"
Asterisk means conjectural Proto-Indo-European root. Update: my friend came for Pascha. My heart is very warmed for that, I know her for years and she was always a somehow spiritual person, but felt anything but Orthodox, and here she was singing hymns and trying to learn clergy's name. Also, we had four baptisms/chrismations today, and a very old friend (who moved to Rio to marry an Orthodox guy I introduced to her) was also baptised at another parish. We got a Uber and the driver said "there some police down there, they pointed rifles at me but it's okay now", so we responded "well, so you should really put your windows down and turn on the lights", to which he answered, "nah, they know my car now", and she replied "well, if you want to get rifles pointed at you again..."
He did what we advised. Christ is risen! He is risen indeed! I'm glad things are going a little better for you guys. What does the word "casonan" mean? I google it and it comes up in a lot of Romance Language contexts, but I can't tell what it means. Is it a proper noun? I spontaneously made it up one day as the name of a character in the fantasy novel I'm working on, but I'm trying to figure out if it actually means anything. The Google Search results are in Papiamento, which derives mostly from Jewish Portuguese, but has a lot of influence from other languages. It seems to mean mean "cases" ("caso" is Portuguese for "case" and "nan" is a Papiamento plural suffix), and this translation would make sense in the context of the Google Search results. St. John Chrysostom's Paschal Homily blew me away when I heard it read yesterday. Sublime. I love hearing that- they would always read it at the OCA parish where I started out. Unfortunately they don't do that at my new parish- they read a message from the bishop, which is always good... just not St John Chrysostom good. Oh, that's so sad, his homily is so warming. In my parish we read both his homily and an annual collective message from the Polish synod. Dude the thing that surprised me about attending every service during Holy Week and Pascha? How much it deepened my understanding of the Gospels. It brought the text to life and its amazing how interwoven the Gospel accounts are in a liturgical context. I can't imagine looking at them the same way again. The most impressive part to me this year was finally realising all the details in the burial of Christ, and how the nave becomes his gloomy tomb from Friday to Sunday. I helped to turn it to Paschal joy during the procession this year, moving stuff around and laying flowers, so I saw the huge difference and how the service came to life. Amen amen amen!! Pascha was pure joy! I agree when it comes to my Church. I've publicly stated I'd rather we adopt this paschal homily than listening to Pope Tawadros' rather, hmmmmm, superficial messages to our "diaspora". Note to self: 6am flights are a bad idea. Like really bad idea.